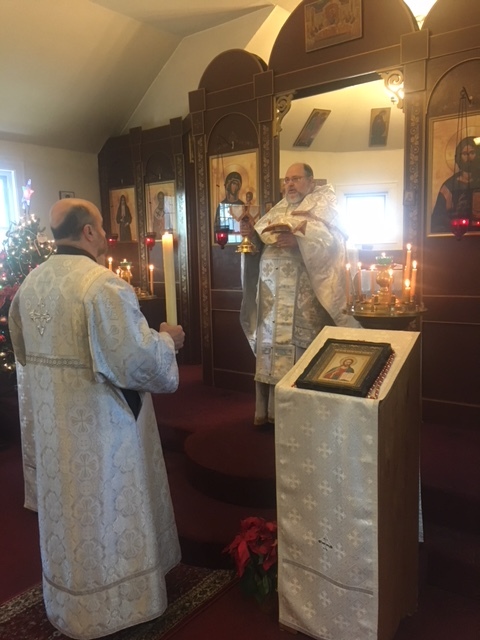 The choir prayerfully performed the hymns of the Nativity during preparation for Holy Communion. 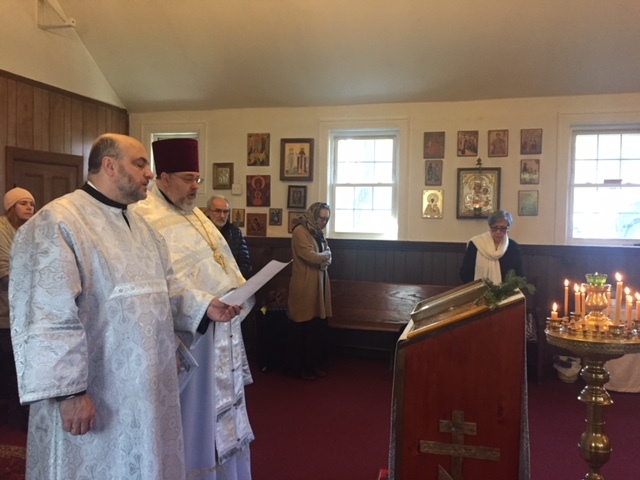 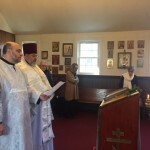 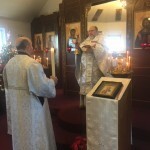 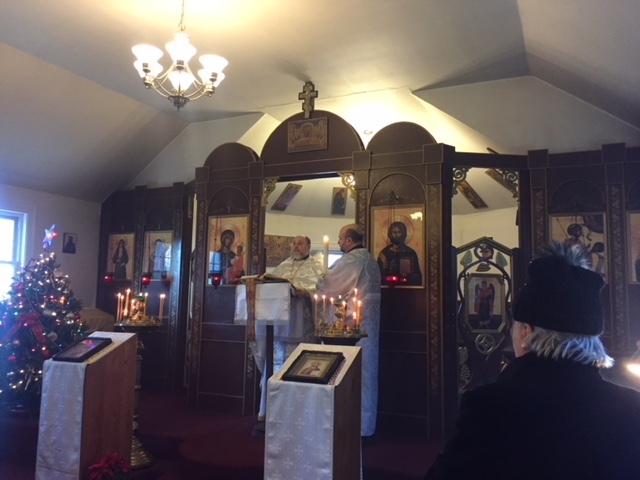 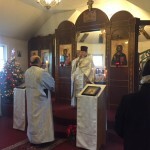 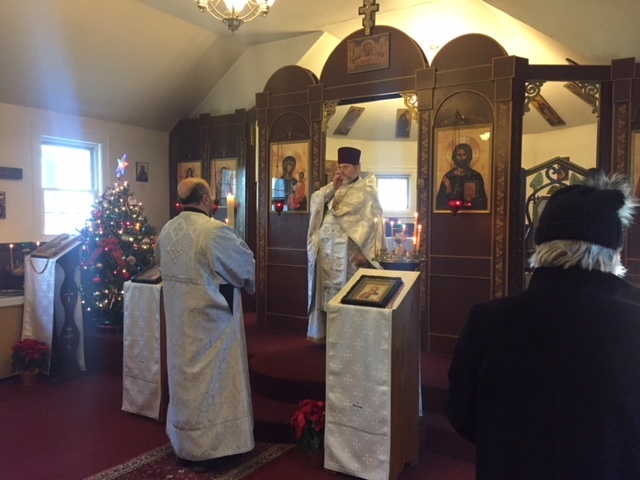 After the dismissal of the Liturgy the Rector and the altar server performed the glorification of the Nativity before the festal icon because that day was the final day of that feast’s celebration. 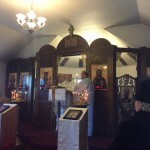 Following the glorification the Rector preached a short sermon in Russian addressing the main thoughts of his English homily.